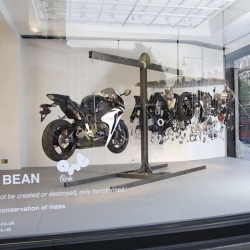 Blinkartʼs Kyle Bean has been commissioned by Selfridges to create a series of sculptural installations to fill the western "wonder room" windows of their flagship London store. 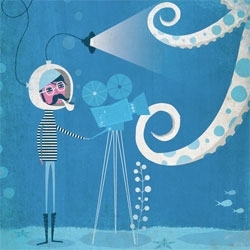 VIDEOHye-Yeon Park's Mr. 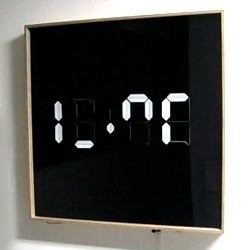 Clock has a playful personality. Reveals time when you approach it. 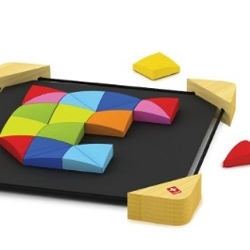 Cool wooden-magnetic mosaic game at the MoMA store. 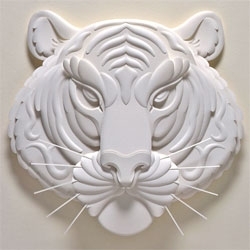 Design patterns, learn sequencing, or create decorations and pictures. 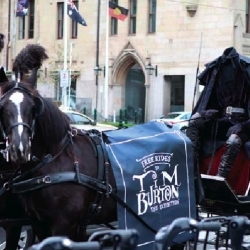 A headless horseman from Sleepy Hollow travels through Melbourne to promote a Tim Burton Exhibition. 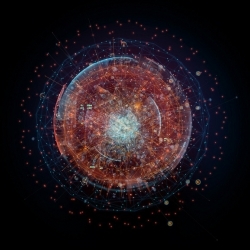 By DDB Melbourne for Australian Center for the Moving Image. 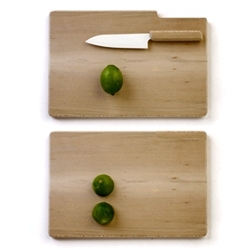 A knife & cutting board set available exclusively at the Philip Johnson Glass House Giftshop. 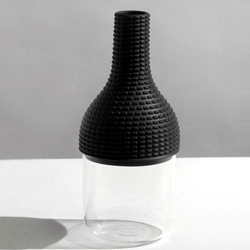 Vase 'hat for vase no.2' by Guillaume Delvigne for industreal. 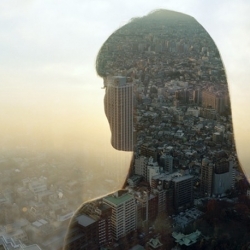 Beautiful series "People and Places" in Beijing by the photographer Jasper James. 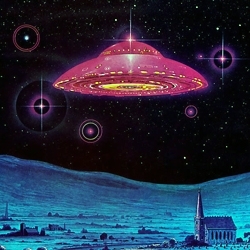 A lovely tiny gallery of large images of science fictional paintings by the epic Angus McKie. 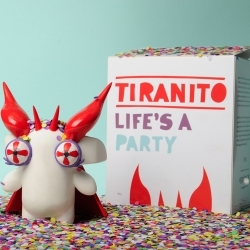 The idea of Tiranito is to express the cultural identity of a tradition celebrated not only in Chile but in other countries of South America. This is an original, atypical kind of stool that creates strange expectations as to its function and appearance, It combines the use of cork with metal, in shapes and colours that customize the item, giving it a fun, playful character. 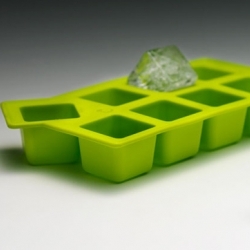 The ärta Ice Tray: features an offset cube design that creates large, square-shaped pieces of ice. 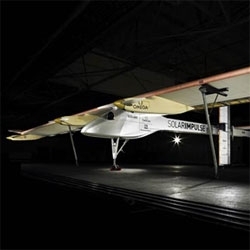 The Solar Impulse solar plane flies at night! 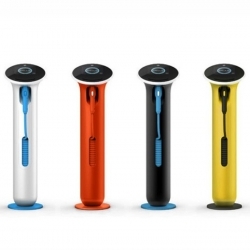 GE WattStation, the electric vehicle charging station designed by Yves Behar (fuseproject). 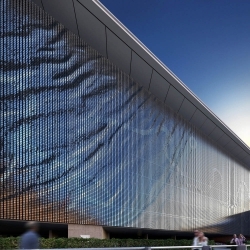 Australia-based Urban Art Projects (UAP) has completed the 5000sqm kinetic facade design for the Brisbane’s Domestic Terminal Car Park. 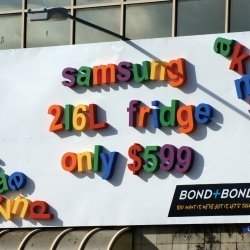 It is expected to become a memorable icon for the city of Brisbane. 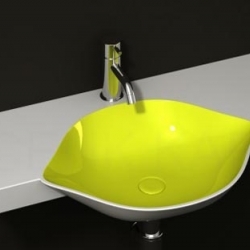 This colorful yellow sink is designed by Cenk Kara. A very original bathroom sink Lemon by Cenk Kara could make your smile every day. 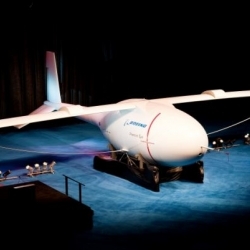 Phantom Eye: Boeing's new unmanned hydrogen-powered spy plane. 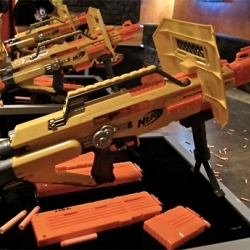 So this is what Nerf guns are like now, huh? 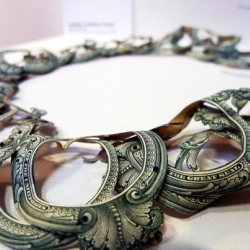 Necklaces made from real money, with a message about indulging in luxury goods. 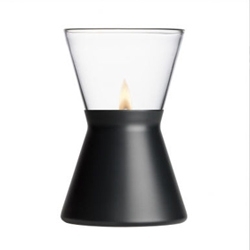 Simple/slick iittala oil lamp by Thomas Sandell. Cool patio decor. 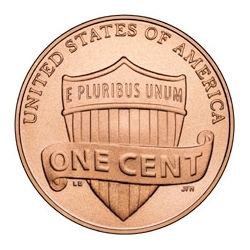 "Look inside!" 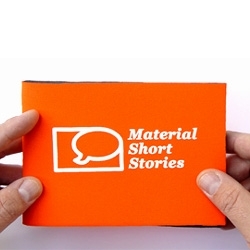 - Material Short Stories is a materials service for manufacturers, agencies and designers. 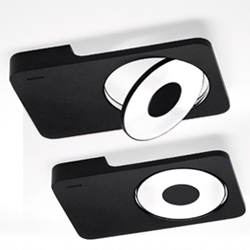 This innovation-to-go is powered by Dutch materials expert Aart van Bezooyen and German designer Tim Oelker. 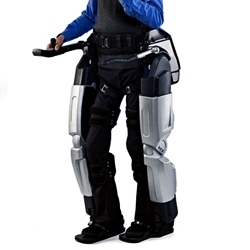 Rex Bionics' 'Robotic Exoskeleton' enables wheelchair user Hayden to stand and walk. 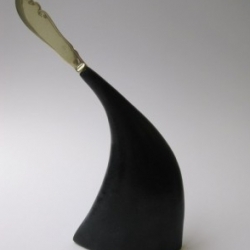 Beautiful hand crafted ceramic handles for found knife blades by recent graduate Laura Plant. 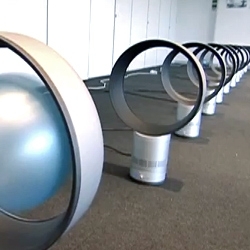 VIDEOUsing 'Air Multipliers', Dyson engineers show how inducement and entrainment works on their design. 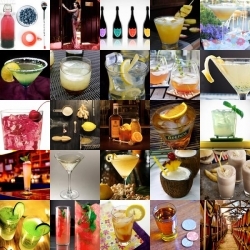 FEATUREDA week in Liqurious deliciousness ~ drinks of all shapes and colours! 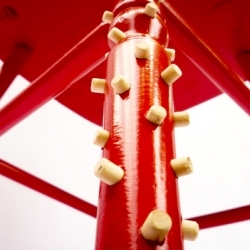 This red chair with wood inserts on one of its legs is part of Marjolaine Poulin's M DESIGN summer collection. 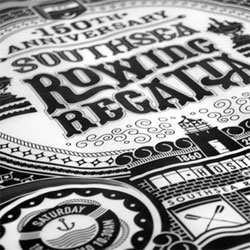 Using reclaimed materials and creating poétical concepts is the goal of this 2010 SCRAP project. 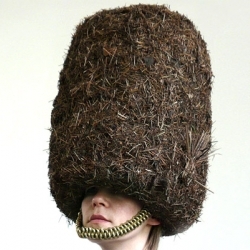 A woodsy take on the Buckingham Palace Guards' iconic bearskin hat by designer Ritta Ikonen, one of the contributors to "Hat-itecture," a exhibition that combines architecture and hats. 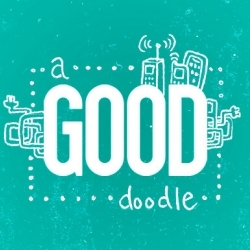 Second edition of the GOOD.is Doodles project is prompting individuals to drop technology for a day, and then sketch it. 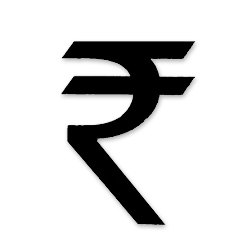 Udaya Kumar's new symbol for the Rupee was chosen by India's cabinet on Thursday. 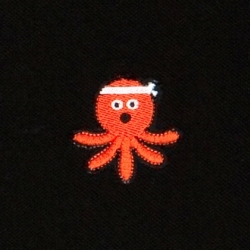 French Illustrator Jean Jullien has collaborated with Korean label PlacJeans that feature a series of small stitched character emblems. 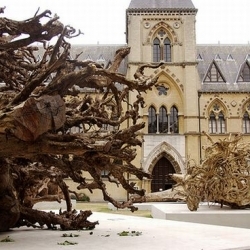 Some huge rainforest tree stumps from the Tropics will adorn the Natural History Museum and Pitt Rivers Museum, in Oxford for a year. 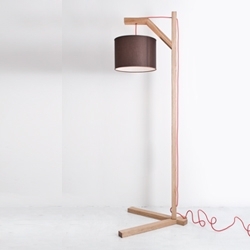 A contemporary take on the iconic early 20th century library lamp, ‘Libby’ by Overend Studio is to hit London department store, Liberty next month. The CATERPILLAR TRESTLE is a table trestle consisting of a bundle of legs that seem to be set in perpetual motion. 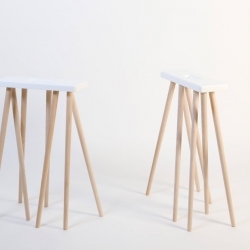 It can also be used as an informal stool. 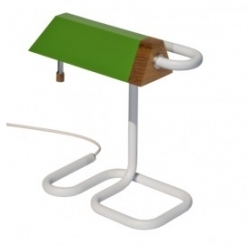 The CATERPILLAR series of benches and tables elaborates on the notion of lightness and redundancy. 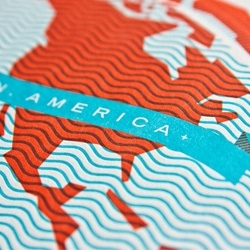 The idea of the designer Armin Fischer was to create a mix of hotel and hostel. 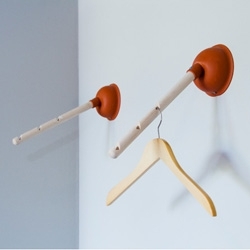 The result is Superbude (Supershack) a budget-hostel in Hamburg with funny design elements like coat-hangers made of plumber's helpers. 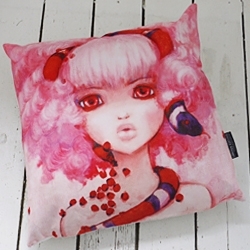 The wonderful artist Camilla D'Errico releases a trio of gorgeous Limited Edition pillows and canvases. 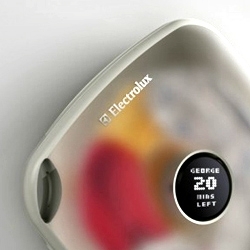 VIDEOElectrolux Design Lab 2010 finalists' concepts. Cool solutions for compact living in the future. 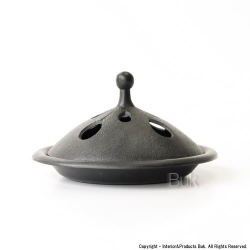 Stylish mosquito coil holder made of Japanese traditional Nambu ironware. 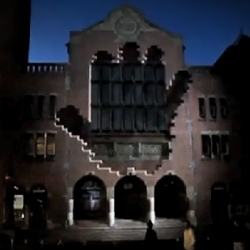 VIDEOSamsung's amazing 3D projection mapping installation in Amsterdam. 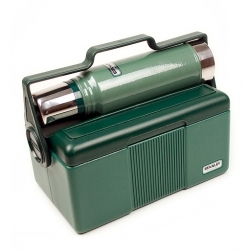 This Stanley Lunch Box & Cooler Set hearkens back to the simplicity of your father's lunch. The brutal simplicity of that classic working man’s lunch. Ingenious 'Spock' LED disc light by Modular Lighting Instruments.